These could possibly be my new favourite piece of camping equipment! Most campfires we sit down to, were scrounging around for something to use. A switch from the woods, or a crappy dollar store roasting stick that has hardly no handle so you continuously get a face full of fire smoke. I’d love to take full credit for this genius idea, but I have to give it to Love Grows Wild. 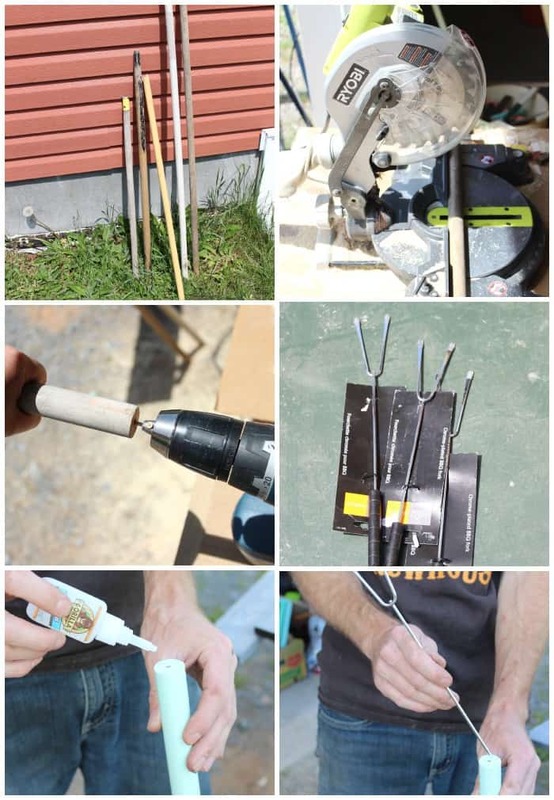 I had seen her post about Marshmallow roasting sticks a few summers back, and had always wanted to make some, just never got around to it. I think a picture says a thousand words here, but should you need a little guidance, Liz shares a step by step tutorial over on I heart Naptime. I gave the rake handles a fresh new color with paint remaining from the DIY Summer planter I shared last month. The big difference between my campfire roasting sticks and the others is I used a BBQ fork from the dollar store in place of a skewer (give the handle a few twists to remove). We like to roast spider dogs and weeines too, so the double prongs work great! 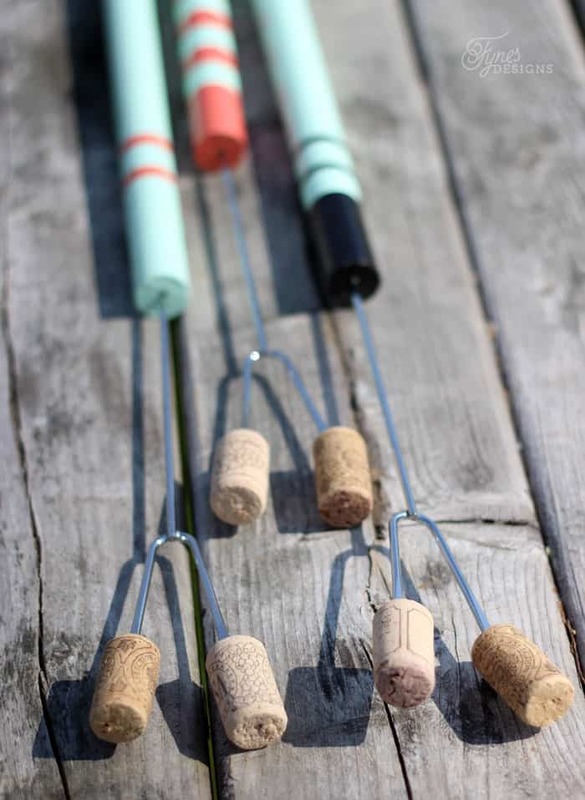 To protect yourself and the kiddos from getting poked or impaled when not in use, you can drill a small hole in each cork to be slipped on the tines when not in use. I can’t wait for summer to get in full swing so we can get out doing some camping. 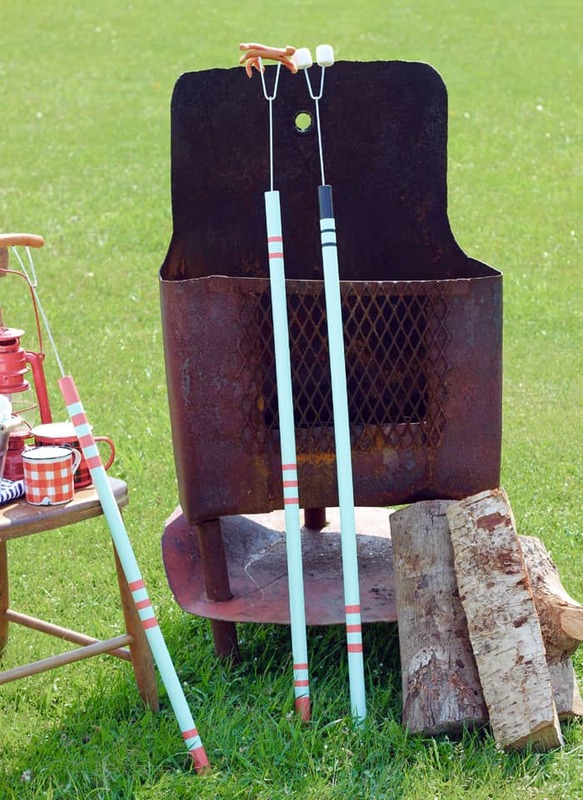 These marshmallow roasting sticks are going to be perfect for LOTS of smores making! 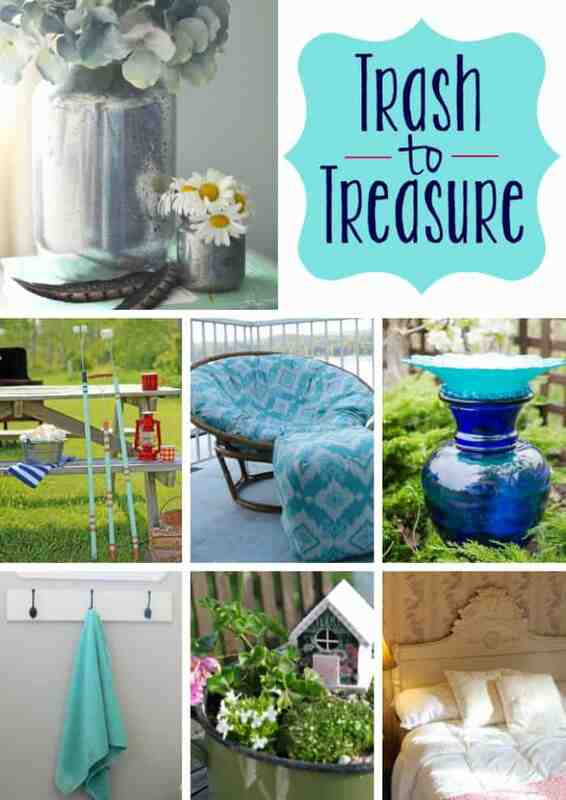 But that isn’t all for today; visit these blogs along the way for more trash to treasure inspiration! There was a reason you saved those from the garbage! These are soo darn cute, Virginia! 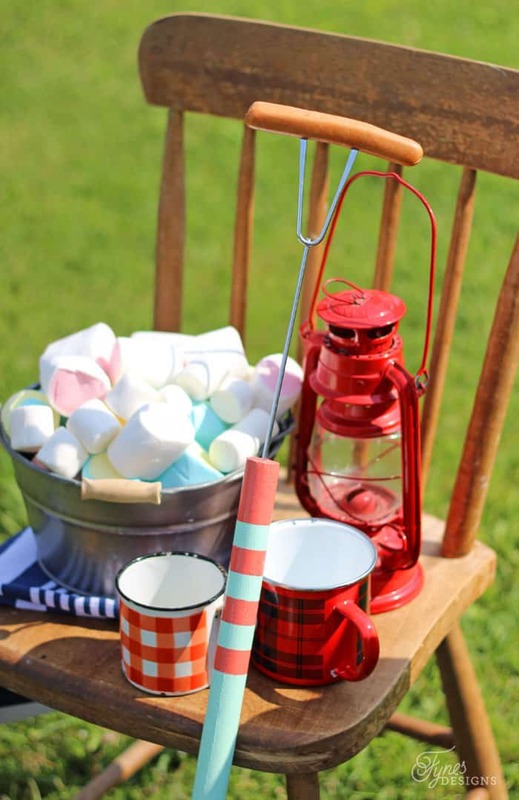 We need those… We have the same dilemma everytime we roast marshmallows too! Have a great day! Ahhh! These are so clever and I LOVE the paint job you gave them. Thanks for sharing, Virginia! What a great idea!! These would be perfect for our fire pit this summer. Pinned your idea. Thanks so much for sharing! This is brilliant Virginia! 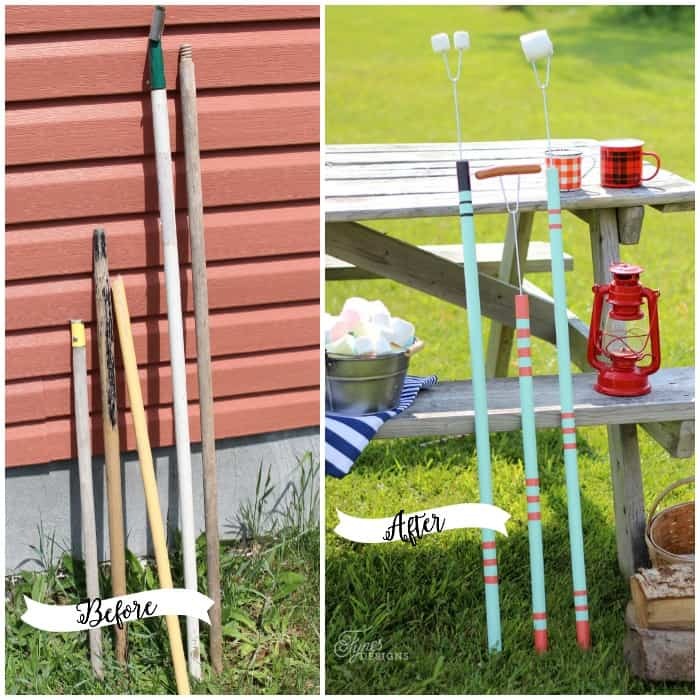 What a great idea to repurpose old gardening tools. I also love your idea to make them safer when not in use by inserting the corks! Absolutely BRILLIANT Virginia and SO super cute! What a cute idea!!! I bet the kids love it! So much better than dirty old sticks picked up off the ground! CA-uuuute! Love these…you are pure talent, girl! These are fantastic, Virginia! We would get tonnes of use out of these! Pinned! What a great idea! I have a drawer full of standard marshmallow roasters, we love to have marshmallow and hot dog roasts throughout the summer and early fall. This would be a very fun project to try. Pinned to my summer fun board! Thanks for sharing April! These are working awesome for us! 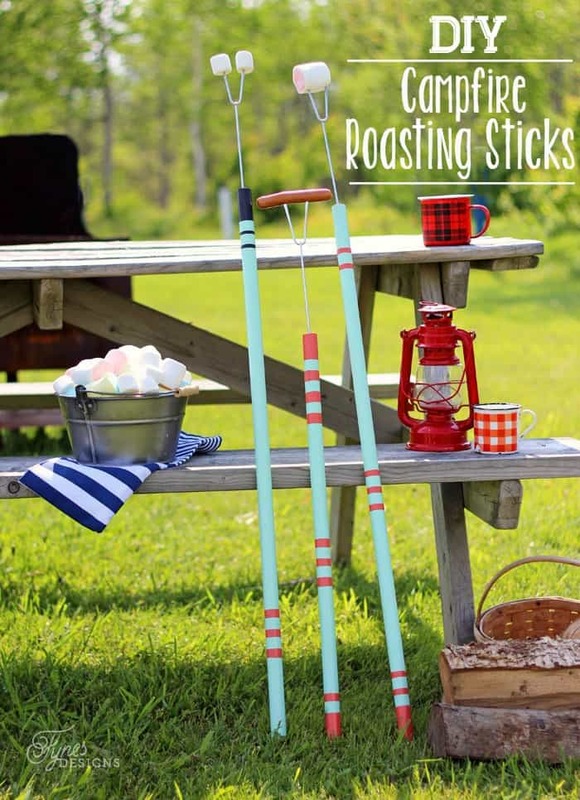 These are some seriously fun roasting sticks! And I love the idea of protecting the ends with the caps. Thanks for sharing at Motivational Monday! I let out a little scream when I saw this post. Hubby was trying to figure out a way to make some sticks for roasting marshmallows and when I saw this I showed it to him. I love learning from other bloggers. I will be featuring your post on Wonderful Wednesday Blog Hop tonight. Sharing! !